An independent two-dimensional adventure game. She tries to present the monotony and stagnation of life of her three main characters who face personal problems, lack of a well-paid job and prospects for the future. The title was awarded at the IGF festival in 2013. 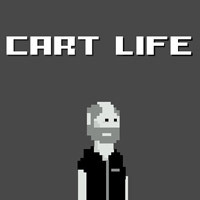 Cart Life is a retail simulation for Windows which showcases the lives of street vendors in a small city which is located in the Western United States. Each of the playable characters has specific goals and special traits, but also unique addictions which the player must accomodate in order to succeed within the game.